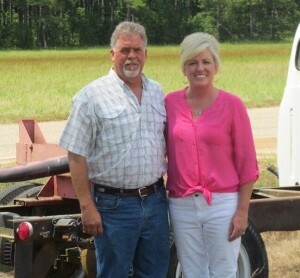 Rob & Lori Jones, of the Lacey community, along with their sons Beau and Tyler, have been named the 2014 Drew County Farm Family of the Year. 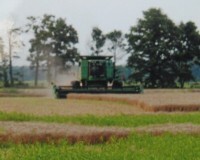 The Joneses own soybean cropland, operate three logging crews, and raise over 1,800 acres of tree-farm timber land. Beau is married to Kohl McCone Jones. Tyler is shown with Korry Patterson. The family are active members of Shady Grove Missionary Baptist Church, and take part in many community events including; Relay for Life and Race for the Cure, and being a sponsor for Log-A-Load for Kids. 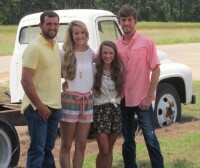 Rob’s degree (UAM) is in business administration; Lori has a degree in elementary education (UAM); Beau has a UAM degree in business accounting; and Tyler, a junior, is pursuing his degree in business management from UAM. 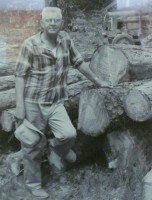 Rob, also known as R.D.Jones III, has served on the Arkansas Timber Producers Board, president of the Southeast Independent Loggers Association , and was honored as the 2007 Arkansas Forestry Association’s “Logger of the Year”. 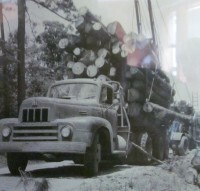 He also keeps photos in the office, at their home, showing his dad and grandfather working in the logging industry, before all of the technology that is available now. Rob and Lori also operate University Pointe Apartments. 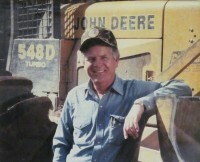 This entry was posted on Monday, July 7th, 2014 at 6:41 am	and is filed under Site. You can follow any responses to this entry through the RSS 2.0 feed. You can leave a response, or trackback from your own site. Congratulations Rob. I am a great admirer of you and all your family. God continue to Bless you and yours. I see their names now. I must have missed it the first time I read the article.